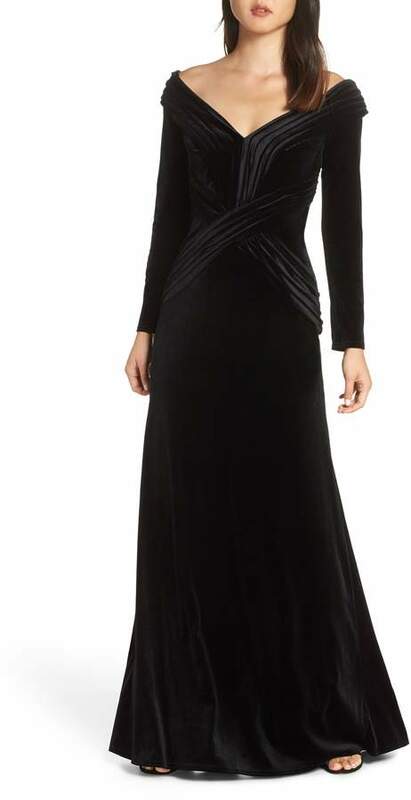 An off-shoulder V-neck framed by deft pleating adds elegance and drama to a sweeping gown in lustrous velvet. Style Name:Tadashi Shoji Off-Shoulder Velvet Gown. Style Number: 5709752. Available in stores.